Famous people born on APRIL 12 are certainly are busy. They are smart, good looking and as some would say, they are a breath of fresh air. Others would not necessarily agree. They can throw a class “A” temper tantrum and this behavior is not becoming of them. Luckily there are always three sides to a story. 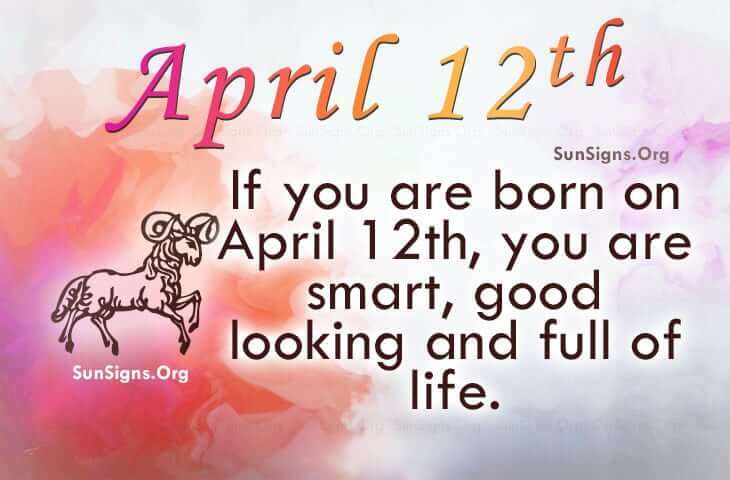 As a famous Aries born on this date, they are trustworthy and like to keep things on a positive level. They believe that we are the pilots over our lives and there is not much room for mistakes or time to goof off. Famous people born on April 12th also believe that it’s time to grow up once their childhood is over. Speaking of which, they take parenting seriously and will likely become an awesome parent. They will need to find a suitable mate first. This companion will need to be pretty much like them – fun to be around, drama free and spontaneous. Famous people born on April 12th are one cool and curious Aries. They stay busy and have many admirers. Their relationships are built on trust. Those born on this day make awesome parents. Typically, they don’t like predictability and would be a stimulating lover.